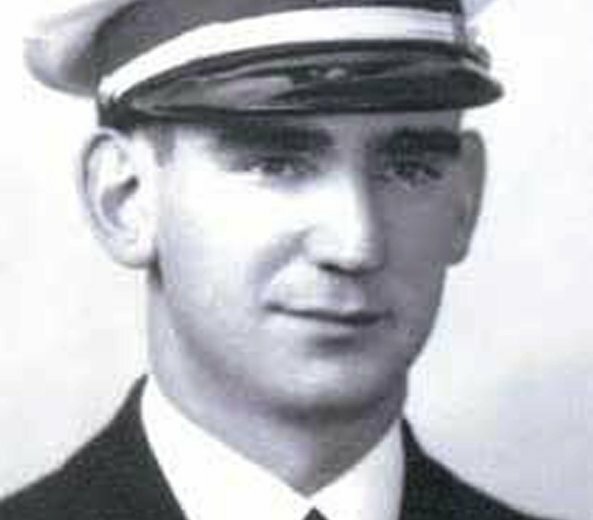 ALBANY, N.Y. (AP) — Pentagon officials say the remains of an American sailor from upstate New York who was killed in the Japanese attack on Pearl Harbor have been identified. The Defense POW/MIA Accounting Agency announced Tuesday that the remains of Charles M. Stern Jr., of Albany, have been accounted for. Stern was a 26-year-old ensign assigned to the battleship USS Oklahoma when the Japanese aerial attack on Hawaii on Dec. 7, 1941, sank the vessel as its mooring at Ford Island. The Oklahoma was hit by multiple torpedoes and capsized. Stern and more than 400 other crewmembers were killed. The Navy spent the next three years recovering remains from the wreck. They were interred in nearby cemeteries. Stern’s remains were among those disinterred in 2015 in an attempt to identify the Oklahoma’s unknowns.